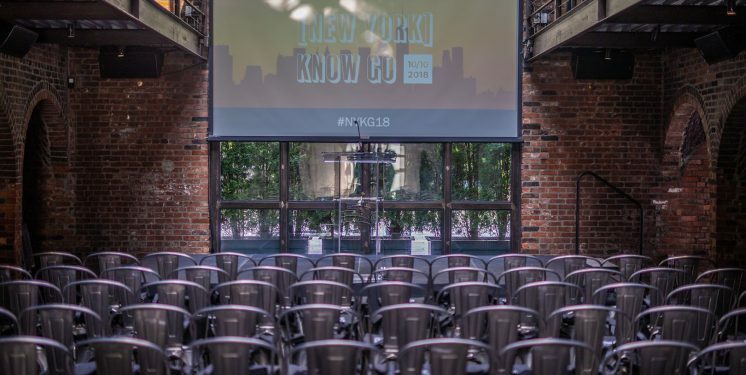 On October 10, Crealytics hosted its inaugural “NY KnowGO.” This exclusive, one-day event focused on digital Co-op and Sponsored Product Ads. It welcomed 16 of the top 50 U.S. retailers—including Kohl’s, Under Armour, Urban Outfitters and Foot Locker—as well as leading brands and technology vendors. Several industry leaders delivered lively presentations at the conference. Want a refresher, or interested in learning more about the content? Today’s blog selects seven of the event’s hottest talking points. 1. Who Will Win the Battle for Co-op Supremacy? Anyone who’s monitored Google and Amazon’s evolution has a similar verdict: convergence. Things used to be clearer cut. Once upon a time, Google was just a search engine. Amazon was just a retailer. But the last few years have seen the giants encroach aggressively into each other’s market. The lines between the two have blurred, with both offering similar business models. Things get especially intriguing when it comes to Sponsored Product Ads (SPAs) – a key piece of the Co-op puzzle. Amazon built much of its current business model around them, and generated $10 billion’s worth of revenue from them in 2019. But 2017 saw Google follow suit. Head to retail sites like Best Buy and you’ll see trial program SPAs from the Alphabet subsidiary. Amazon boasts a formidable, proprietary sales force. Google (and other retailers) rely on a third-party equivalent. Google offers little reach by way of ad inventory on other retailers’ websites. In this arena Amazon can again flex its muscles – it owns as much ad inventory as the rest of its competition combined. Google remains reliant on third-party providers, which means no control over ad delivery or ranking. Amazon’s proprietary tech ensures the opposite: a 100 percent say over its website and product rankings. Google receives a major revenues from Co-op SPAs in the form of major “traffic tax.” On the flip side, its rival receives 100 percent of brand budgets. Co-op marketing represents a huge opportunity. At the time of writing, marketers still spend around roughly 80 percent of their Co-op budgets offline – from TV commercials to billboard ads. Things are changing. Purely-online retailers are spearheading a shift away from traditional formats. 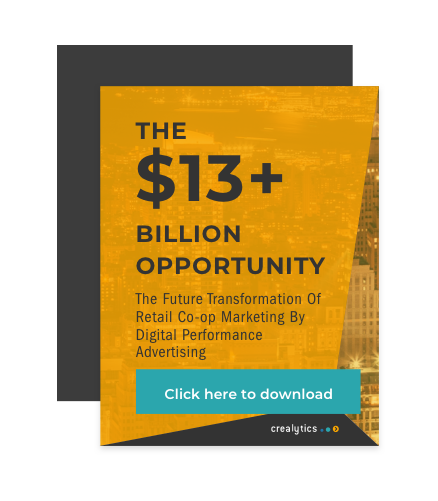 Yet even in the face of this new, digitally native frontier, retailers and their brand partners reserve just 20 percent of their budgets for digital Co-op activities. Download Crealytics’ Free White Paper on Digital Co-op Here! Even loose calculations reveal a staggering opportunity. The total potential spend represents $42 billion. Amazon, which bases most of its operations around Co-op relationships, looks set to eat up around half of this figure. That leaves $21 billion up for grabs. Search marketing accounts for 80 percent of this number ($16.8 billion), almost all of which will be claimed by Product Listing Ads (PLAs). That leaves retailers and brands chasing a $13+ billion-shaped windfall. 3. Why Are Product Ads and Digital Co-op Perfect Partners? In PPC advertising, Product Listing Ads generate 75 percent of sales. Understandably then, prominent listings are crucial. Because it’s a highly competitive environment, retailers alone will always struggle to afford a competitive advantage. The solution lies in joint budgets. They are naturally higher, resulting in more visible real estate. Current systems make it difficult to distinguish between regular “business as normal” activities and potential Co-op uplift. Solution: Retailers and brands can divide and conquer. How can brands measure their ROI when all they see is overall revenue? In most instances, they remain stuck with generic, unhelpful metrics. Solution: With the right partner, brands should be able to aim for richer, more granular data reporting. Perhaps granted their own login, thousands of brands could seek a comprehensive overview of product performance (and the ability to review budget spend if necessary). Quite often, retailers will take a Co-op budget without making a commitment to spending it. As a result, they remain “on the shelf” – or used as a measure to reduce product price. Solution: Brands commit to a maximum budget. If Return on Ad Spend (ROAS) is met, budget is used (low ROAS sees the budget frozen). A guaranteed ROAS for brands eliminates any risk of overspend without return. With thousands of potential brand partners potentially involved, manually implementing (and monitoring) their performance is highly inefficient. Solution: With the right partner’s technology in place, they should be able to automate all aspects of Co-op campaign management. This includes assigning budgets, establishing thousands of audience campaigns (like retargeting), bidding towards ROAS targets and reporting on performance. Best-selling author and NYU Stern Professor Scott Galloway focused on technology’s “Big Four”. And the keynote speaker didn’t hold back – putting Google, Amazon, Facebook and Apple under the spotlight during a tour-de-force presentation. Much has changed since the Big Four’s early days. Though they initially won plaudits for challenging old industries, Galloway argued that they now threaten our global economy and society. Only five nations have a GDP greater than the Big Four’s combined market capitalization, with no sign of them slowing down. Check his after-show interview with our CEO Andi above! 6. How Can Retailers Get Sponsored Product Ads Right? Retailers who stick to selling products the traditional way make only small retail margins. Sponsored Product Ads (also known as “Featured” or “Recommended” ads) offer an antidote. SPAs can be a fantastic asset for retailers and brands, generating extra product visibility, promotional impetus and a helping hand for clearance items. They can also help monetize non-purchase traffic via fees. But implemented the wrong way, sponsored content can actually have negative effects on your visitors…cancelling out any potential gains in the first place. What if the advertised products aren’t relevant? What if people don’t want to buy them? Could retailers weaken their overall conversion rate and burn more money they could ever bring in via regular ads? NYKG invited conversion scientist Brian Massey to elaborate. His presentation showed that retailers can optimize their site monetization programs, declaring A/B tests to be the “supreme court” when it comes to valuable insight. Click here to see how his techniques help retailers to avoid sales cannibalization, optimize ad revenue. Back in the day, you could express a retailer’s core capability in two basic steps. First: Buy the right products. Second: Make a margin by selling them at a higher price. Fast forward to 2019. The most successful retailers have evolved to become advertising and media companies. Alibaba owns over a third of the Chinese digital market. Amazon’s biggest growing sector comes from selling ads to vendors (and marketplace sellers). And the rest of the market is catching up. Zalando – Germany’s #1 fashion retailer – has built its own ad sales house, employing 160+ people. Meanwhile, Target runs Target Media and Walmart…Walmart Media. All share the same goal: make bigger margins and find alternative monetization strategies. NYKG’s retail panel assessed how to build these media subsidiaries. Sears’ Thomas S. Kozak and Staple’s Marco Steinsieck joined Scott Hames (ex-Bed, Bath and Beyond) to discuss Sponsored Product Ads, and tackle how to better collaborate with vendors.